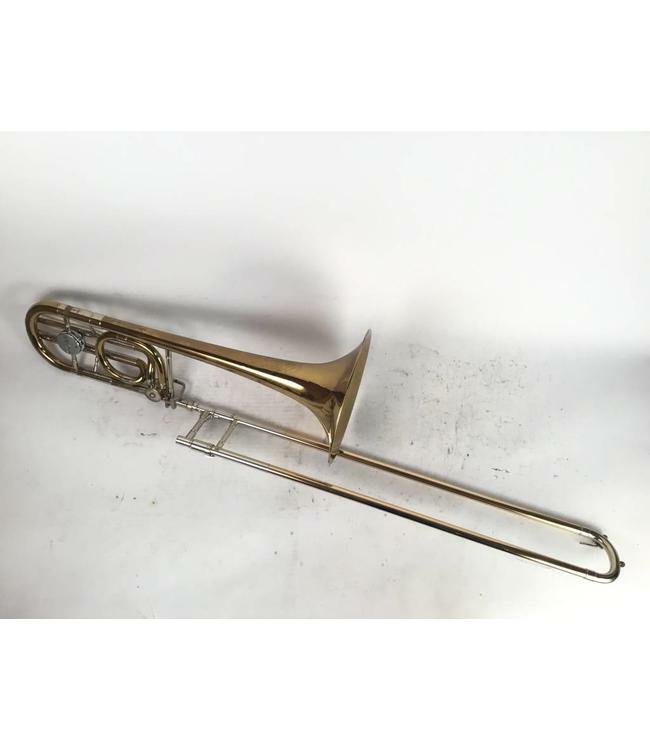 Used Conn 72H single trigger bass trombone in lacquer. Made in Elkhart, IN circa 1966 and in overall good condition. Minor lacquer wear throughout, evidence of minor bell crease near rim, wear at contact points (neck), minor dents in tuning slide, and inner slide tubes in good condition. Includes gig bag.